Where We Are TodayA good starting point of why Christians should blog is plain stats. According to World Bank (Google Public Data), in 2010, 30.48% of the world population were Internet users. Today, in the United States alone, the percentage of Internet users is probably well over 80% of the country's population. "The average young American now spends practically every waking minute — except for the time in school — using a smart phone, computer, television or other electronic device, according to a new study from the Kaiser Family Foundation. 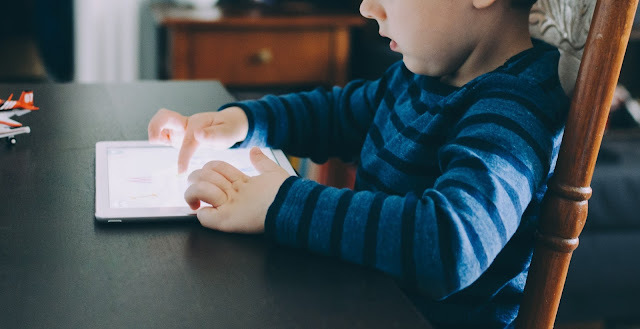 Those ages 8 to 18 spend more than seven and a half hours a day with such devices compared with less than six and a half hours five years ago, when the study was last conducted. And that does not count the hour and a half that youths spend texting, or the half-hour they talk on their cellphones. Just in case you would like to check out other Christian bloggers, I have a list of recommendations of Christian blogs that I've been following myself. This is, by no means, an all-inclusive list but just something to start with. Here is the list, in a random order (simply click the Title to go to the Blog): I Pursue: scriptural and cultural observations along the author's Christian pursuitLife and Building: curating the best of life, architecture, and the BibleArk and Architecture: a blog on the Bible and buildingsCome, see a man: everyday experiences of Christ, life, and Christ as lifeHolding to Truth in Love: words of truth to help every believer grow in ChristI've benefited so much, humanly and spiritually, reading some of these blog posts. So I hope you enjoy reading them as well. Do you have any recommended Christian blogs that I could subscribe to? This Blog Has Saved MeI cannot tell you how many times this blog has saved me. To be honest, writing these blog posts have become my accountability to the Lord and to you all. You may ask, what accountability? Well, you see, the need to update this blog has held me accountable to enjoy and experience the Lord in a fresh way. This is the source of freshness in this blog. Furthermore, having to write my experiences in the Lord has taught me to muse, to consider, on His Word. I mean not just the written Word of God but also the Lord's instant speaking within me. Holy Word for Morning RevivalThis week I've been lacking in my morning time with the Lord. So today I picked up my morning devotion book, it's called, The Holy Word for Morning Revival: Crystallization-Study of the Psalms, to read the portion of The Functions and Blessings of God's Law as His Living Word to His Loving Seekers. I noticed two new updates from Blogger: The addition of heading formatting in the NEW POST feature: Heading, Subheading, Minor Heading, and Normal.The addition of Search Features in SETTINGS.Both are very crucial updates for Blogger users. For further reading on these two new additions and why they are important, check out this blog on how to blog.